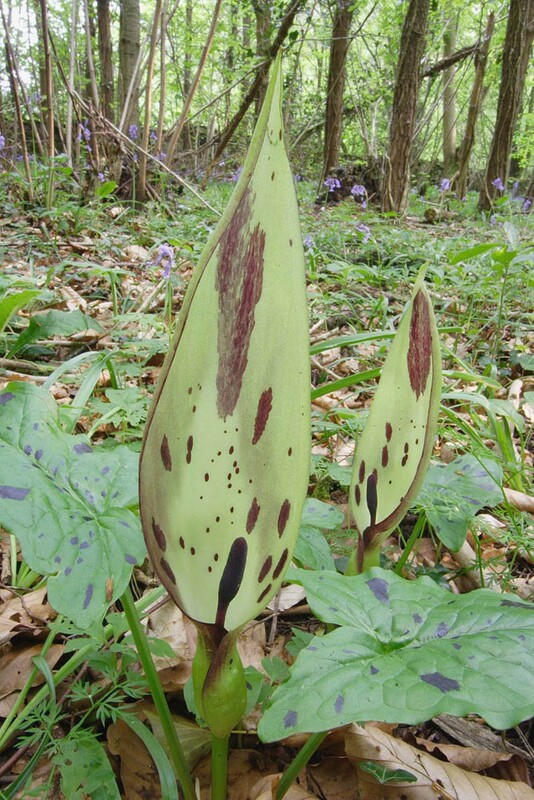 The flowers of this strange-looking plant form a purple-brown tubular structure which smells slightly of decay and is shielded by a pale green sheath. 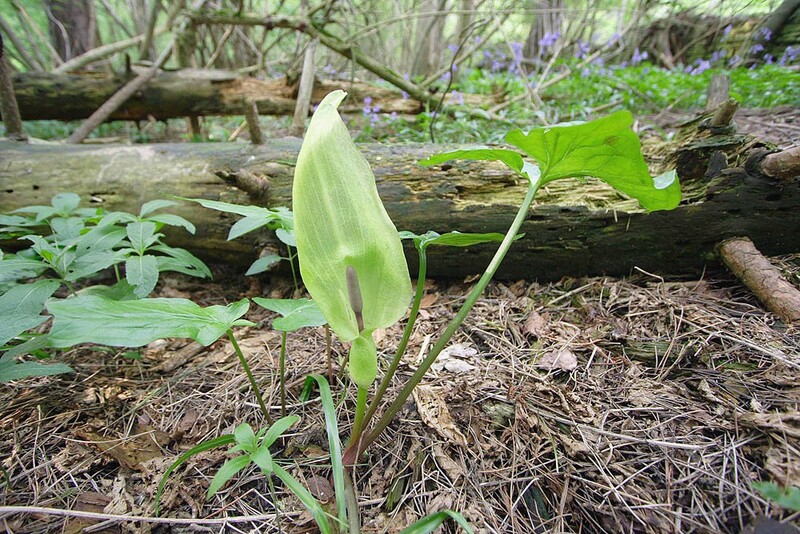 The whole structure grows very close to the ground and is surrounded by large, long-stemmed dark-green leaves shaped like arrow heads, often with a scattering of dark spots. The flowers appear during April and May and are followed by clusters of poisonous bright orange-red berries. 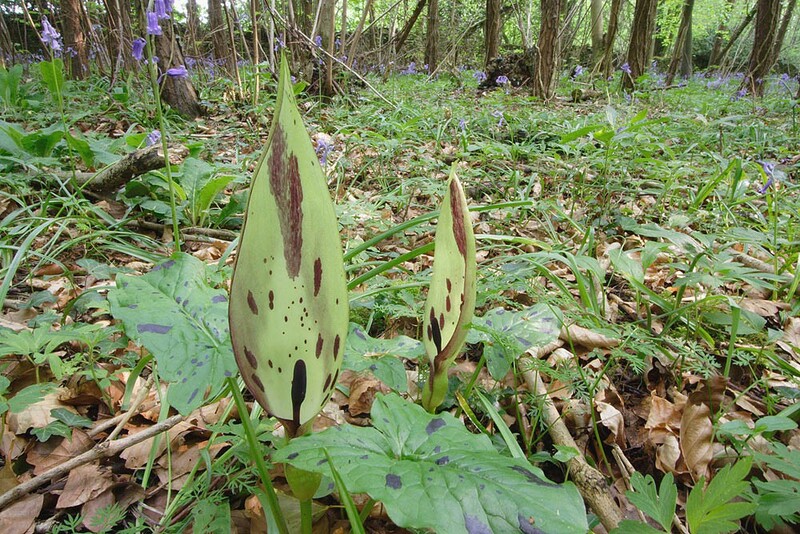 Lords and Ladies is a plant of relatively fertile soils found in woods and hedges. Being a deep rooting plant it is prone to waterlogging so tends to be confined to moist but well draining soils. 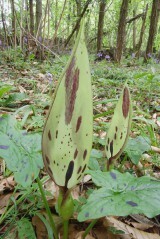 Lords and Ladies will take quite a long time to grow from seed and may take seven years to flower. 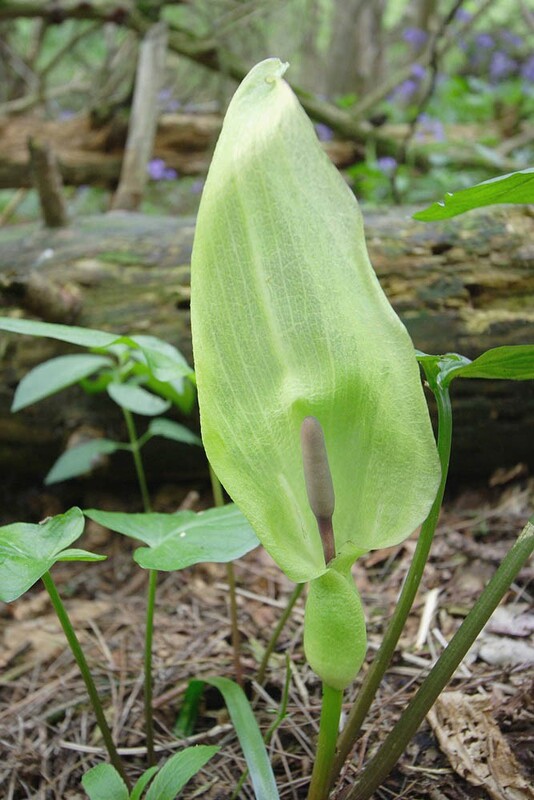 This slow growth rate is in part due to the seedlings' heavy dependence upon a mycorrhizal association (fungi found in the soil that help the plant take up nutrients through its roots). 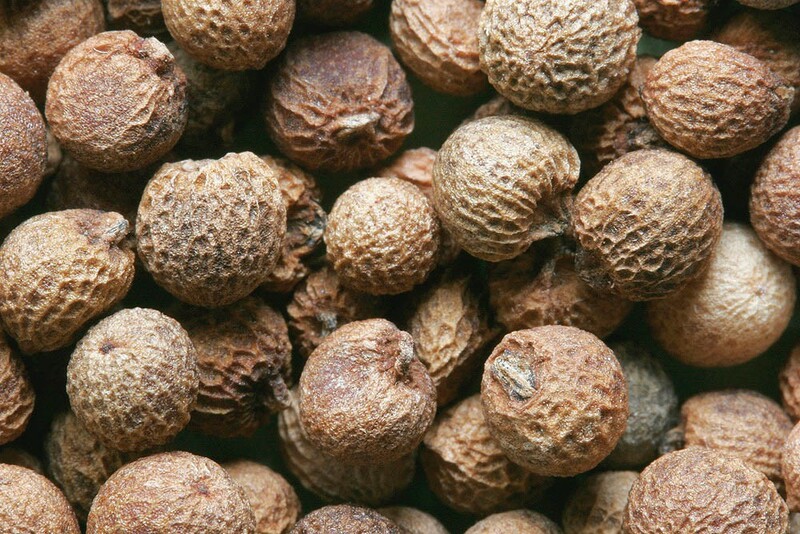 Because of this seed is probably best sown where intended rather than in a pot. Sowing should take place in the autumn. 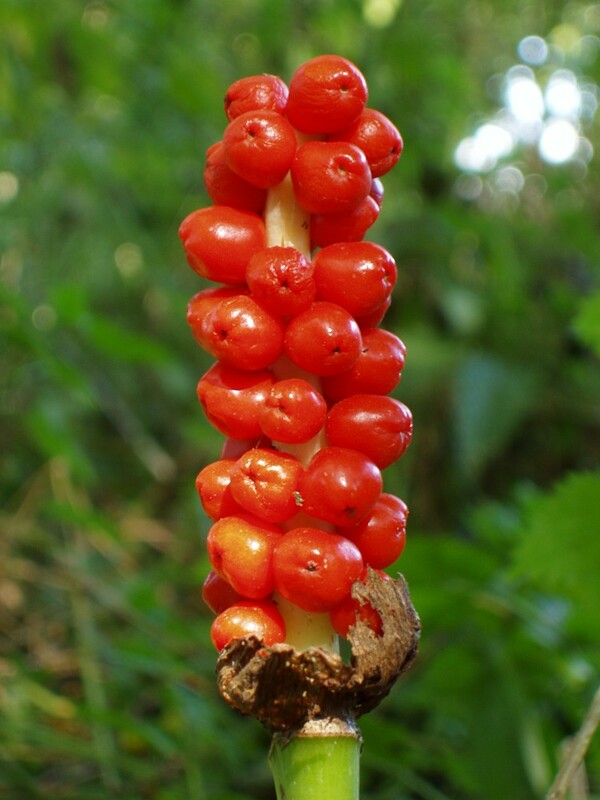 The plant spreads vegetatively by means of daughter tubers and by seed dispersed by birds eating the berries. Lords and Ladies can be added to EW1 or EH1.